Unsure how your team handles patient care issues or complaints? 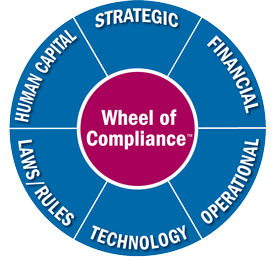 Concerned about risk management issues or regulatory compliance guidelines? Want to avoid legal pitfalls before they become a reality? With new healthcare laws in effect, our industry is changing. Medical and dental practices need to remain compliant or face consequences that include stiff penalties and fines. Linda Harvey’s presentations teach doctors and teams how to effectively integrate regulatory compliance into their practices, and how to protect their patients, practices and themselves by closing regulatory gaps in their policies, procedures and workflow. Presentations include real world examples and provide tools attendees can take back to the office to help implement change. NOTE: Presentations qualify for CME credit through associations/organizations with ACCME accreditation. Visit our Media Room or Contact Us today to discuss how your members can benefit from our valuable programs at your next meeting or conference. — Lynnette Pease, NE Florida Area Health Education Center, Inc.